Ronald Barabas, M.D. is a distinguished child neurologist who has practiced in Monmouth County, NJ since 1993. He is board certified in Child Neurology by the American Board of Psychiatry and Neurology and Clinical Genetics by the American Board of Medical Genetics. Dr. Barabas attended medical school at UMDNJ-Robert Wood Johnson Medical School (Piscataway, NJ). Afterwards, he received pediatric residency training at Children’s Hospital of Buffalo (Buffalo, NY). Subsequent training included a child neurology fellowship at Children’s Hospital of Pittsburgh (Pittsburgh, PA) and a metabolism (biochemical genetics) fellowship at The Children’s Hospital of Philadelphia (Philadelphia, PA). He is also a Clinical Assistant Professor of Pediatrics at the Drexel University College of Medicine (Philadelphia, PA), and served as Chief of the Section of Pediatric Neurology at Monmouth Medical Center (2002-2008). 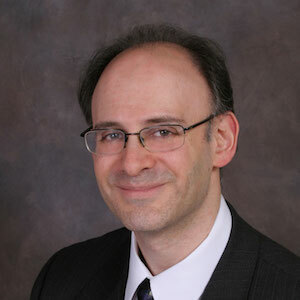 Dr. Barabas has been a member of the Child Neurology Society (1989 – Present), the American Academy of Neurology (1990 – 2009, 2011; Child Neurology Section 1999 – 2009, 2011), the National Neurofibromatosis Foundation (1993 – Present) and the American Society of Human Genetics (2000 – 2003), as well as a fellow of the American College of Medical Genetics (2000 – 2007). He has taught medical students and residents from the University of Pittsburgh, Children’s Hospital of Philadelphia, Drexel School of Medicine, Columbia University College of Physicians and Surgeons, St. George’s Medical School and Monmouth Medical Center. He also served as consulting neurologist for the LADACIN Network, an agency providing assistance to individuals with cerebral palsy and other physical disabilities (1993 – 2013). Dr. Barabas has published in the medical literature and has performed research in multiple areas including brain injury in newborns, and biochemical and genetic studies in various neurologic disorders. He has been awarded Top Doctors and Best Doctors® awards on numerous occasions.